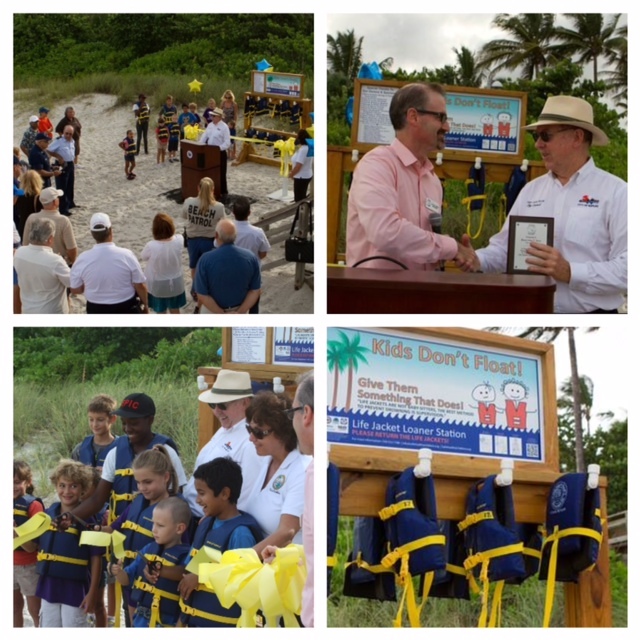 On Monday, August 4th at 8:30 a.m. at the Naples Pier we hosted an event to launch new “Kids Don’t Float, Life Jackets Do!” life jacket loaner stations at the three area beaches in the City’s limits, including the historic Naples Pier, the Naples Beach Hotel & Golf Club (851 Gulf Shore Blvd. 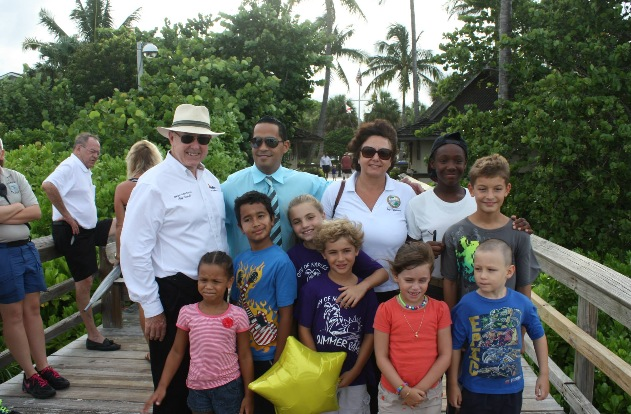 North, Naples) and Lowdermilk Park (1301 Gulf Shore Blvd. North, Naples). 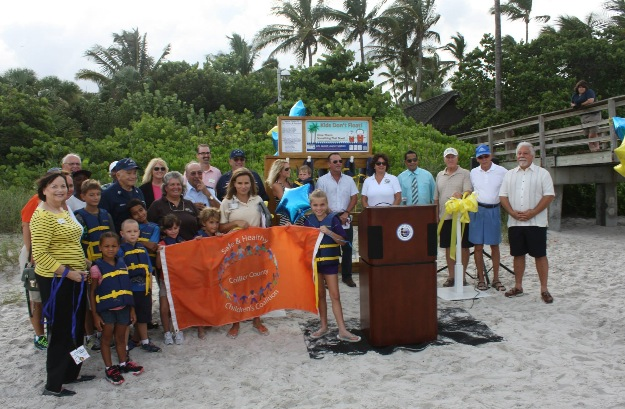 There will be 20 life jackets at each area beaches with four adult sizes, four sizes 10-18 years, five sizes 5-10 years, and seven sizes for children five and under. 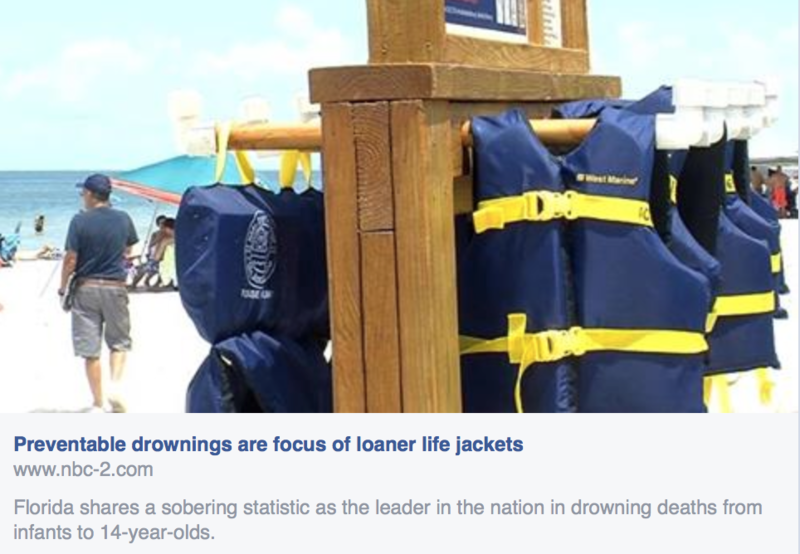 This ambitious and cooperative program will provide another layer of protection against drowning, the leading cause of death of children ages one-to four-years who reside in Collier County. Kim Burgess – Drowning Prevetion Coordinator Florida Department of Health in Broward.